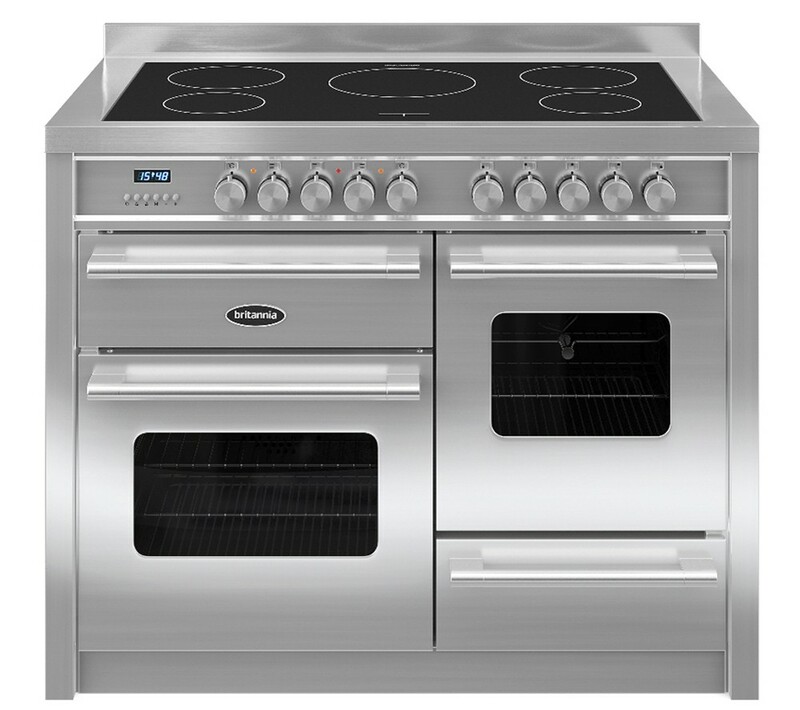 With the Britannia Delphi 110cm XG RC11XGIDES Electric Induction Range Cooker, you'll have a wide range of expert cooking options at your disposal, with two ovens, three grills and an induction hob. Induction hobs present a faster, safer and more economical alternative to gas and conventional electric cooking. Copper coils under the hob surface induce warmth directly in your compatible pots and pans, so that only the food is heated. This gives you precise, controllable cooking that doesn't radiate excess heat and doesn't waste energy. The Delphi RC11XGIDES features five induction zones to accept cookware of various sizes, each with nine power levels to give you excellent flexibility. A boost function gives you more intense heat when you need it. A 52-litre main oven is ideal for that Christmas dinner, Sunday roast or double-layered sponge. It's multifunctional, giving you nine different ways to combine heating elements. Use the fan and top and bottom elements independently or together to achieve a wide range of cooking results. The second oven gives you 42 litres of room and is great for smaller portions or side dishes to your main. It uses a fan and conventional heating elements to present you with four cooking options – perfectly versatile.